Our topic this term is Heroes and Villains! 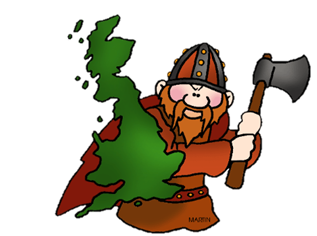 This term we will be looking at heroes and villains linked to the ruling of our country through the medieval period, looking at the Anglo-Saxons, Vikings and Normans who invaded and settled in Britain and how they contributed to Britain as we know it today. We will be going to battle in science, exploring the forces used, such as the air resistance arrows face and how water resistance is affected by the design of boats. In English we will be comparing and contrasting modern interpretations of the William Shakespeare play, Macbeth looking at all the twists and turns in this dark tale. At the end of the half-term we will be visiting the local historical Hoghton Tower to learn about castle life. Keep coming back to find out what we have been up to! The Rocky Road treats sold out within 10 minutes! Bug Club Caught the reading bug? Read online at home! Woodland Junior Website Check out this amazing website for activities, games and links that cover all curriculum areas. Great for homework!